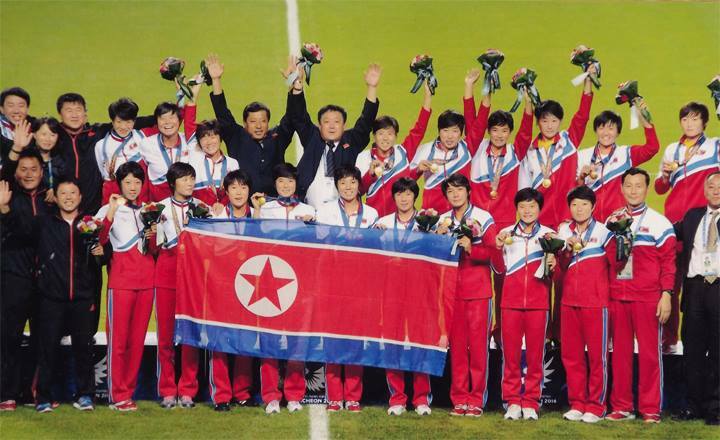 Pyongyang, November 18 (KCNA) — Among many talented female footballers in the DPRK is Ra Un Sim of the Amnokgang Sports Team who is active as the captain of the national women’s football team. She made a big contribution to her team’s access to the first place in the women’s football event at the 17th Asian Games. She has distinguished herself from others for her teamwork ability, fast running speed and superb scoring ability. Kim Kwang Min, chief coach of the team, told KCNA that she is playing a key role in the team. Born in Chongjin City, North Hamgyong Province, she began football at her age of 10. 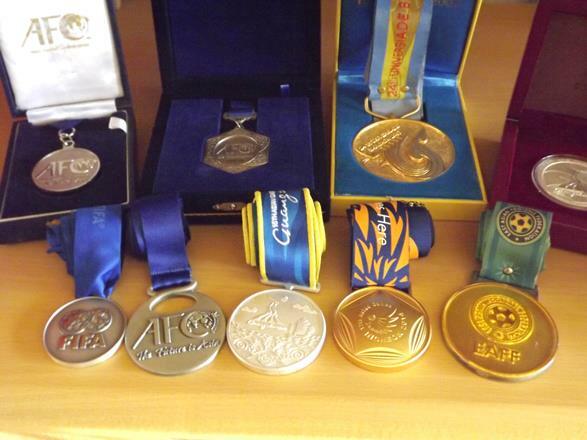 She participated in the 2006 FIFA U-20 Women’s World Cup, the 24th Universiad, the 2013 East Asian Cup, the 6th East Asian Games and other games at which the DPRK team proved successful. She was awarded the best player and top scorer prizes at the 2007 Asian U-19 Women’s Football Championship by scoring four goals. 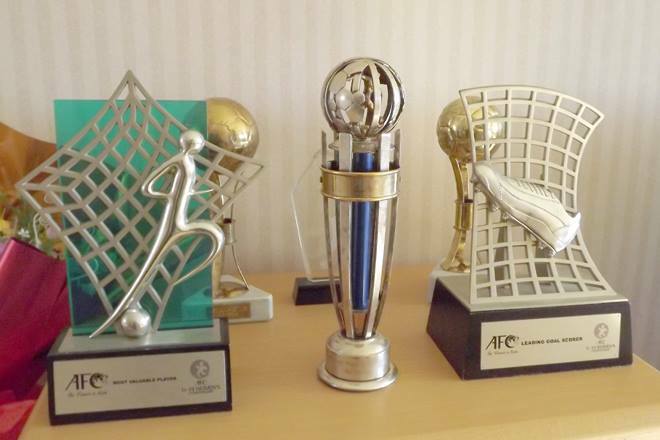 In 2007, the Asian Football Confederation conferred Ra Un Sim the best junior female footballer prize. 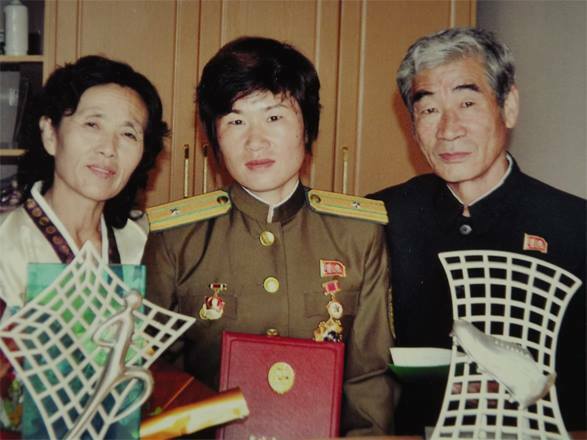 She won the titles of the Kim Il Sung Youth Honor Prize and Merited Athlete in Juche 95 (2006) and the title of the DPRK Labor Hero in October this year. Posted in Senza categoria and tagged ra un sim on novembre 18, 2014 by calciocorea. All women want their children to perform great feats for the country. They find happiness and pleasure there. 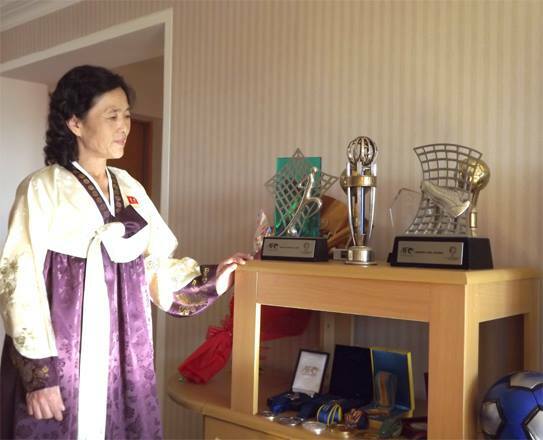 Jang Yong Sil is the mother of Ra Un Sim, captain of the Korean team which came first in the women´s football match of the 17th Asian Games. Ra Un Sim was awarded the title of Labor Hero of the Democratic People´s Republic of Korea in October last. Jang Yong Sil has three daughters. Ra Un Sim is demonstrating the honour of the country through football. And two other daughters are demobbed officers who served in the army for national defence. Jang Yong Sil had planned to let her three daughters learn how to play the accordion. But she changed her mind when she was told that Un Sim was selected to football class after entering primary school. One day she happened to read the diary of Un Sim with her determination to become a famous footballer and bag a gold medal. It was the thought of a little child, but she did not miss it. She thought that she, as mother, ought to help her daughter to realize her decision. But she was worried about her poor health. Jang Yong Sil was concerned for her daughter to make physical preparations as footballer, cooking more dishes suited to her taste and making various tonics. Sometimes she pitied her daughter who was always tired, but let her unconditionally carry out the daily training plan. She made time to read lots of books on football for her daughter and when a game was held, she went to watch it and congratulated and scolded her. So Un Sim was summoned to a professional sports team through the football class of the primary school and the football group of the district juvenile sports school. 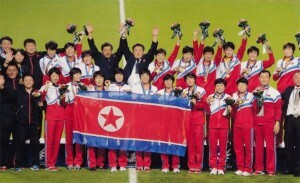 Ra Un Sim began to participate in international games from Juche 94 or 2005. In Juche 96 or 2007 she received three prizes–Prize of Most Valuable Player and Prize of Leading Goal Scorer of the Asian Youth Women´s Football Championship and the Asian Football Confederation Prize for the Best Young Woman Player of the Year. Ra Un Sim fully displayed her ability at the 17th Asian Games as well. A good mother raises a good child. Seeing Heroine Ra Un Sim today, people unanimously praise the unknown efforts of her mother Jang Yong Sil. With such mind she is still encouraging her daughter shedding sweat with training. Posted in Senza categoria and tagged ra un sim on novembre 17, 2014 by calciocorea.